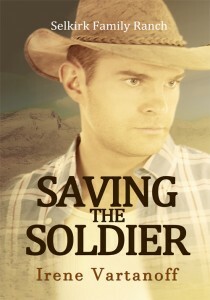 JD’s story is here: Saving the Soldier, Book 2 in the Selkirk Family Ranch series of sweet contemporary romances. Investment banker Paula Barton harbors a secret love for JD Selkirk, brother of her best friend, but the wounded warrior refuses to leave the VA hospital and get on with his life. Then his brother threatens to sell the family ranch and Paula commits a rash act that puts JD in the middle of the crisis. Her daring tactic leaves her vulnerable to JD’s sudden campaign to charm her, an about-face she knows she shouldn’t trust. But how can she resist the man she loves? JD wants to be left alone to brood over the haunting memories of the day an IED blew him up and ended his Army career. When Paula forces him to intervene in the ranch crisis, JD angrily decides to get revenge and use his well-honed seduction skills on her. As the cocky player suddenly faces new physical challenges on the ranch, JD realizes he has more to reckon with than a romantic game. Someone could get hurt. Will it be him, or Paula? hope that is who your putting Tess with….I think she be great with Rolf…. Thanks, Bonnie. Yes, it’s Rolf and Tess all the way–but they have a bumpy ride of it. Coming soon!